The U.S. Supreme Court declined to hear an appeal by the California Trucking Association over the employment classification of truck drivers contracted by motor carriers. The court’s announcement was issued March 18 in the case of California Trucking Association v. Julie A. Su. The case was among numerous others labeled “Certiorari Denied” by the high court without further explanation. Under Supreme Court rules, four of the nine justices must vote to accept a case. It accepts 100-150 of the more than 7,000 cases that it is asked to review each year, according to the Administrative Office of the U.S. Courts. Last year, the California Trucking Association was unsuccessful before the U.S. Court of Appeals for the Ninth Circuit in pre-empting California’s Labor Commissioner of the Department of Industrial Relations from relying on a common law standard as a way of determining the proper classification of commercial drivers. The association alleged relying on this standard, called “Borello,” was inconsistent with the deregulation aspects of a 1994 federal aviation law. The association also alleged owner-operators were contractors paid specific rates and responsible for their expenses. The Ninth Circuit court in September affirmed a lower court’s dismissal of the association’s case. In its decision, the federal appellate court indicated a 1994 federal law did not pre-empt California’s use of the Borello standard in determining if motor carriers properly classified commercial drivers as independent contractors. Stemming from a 1989 state Supreme Court decision, the Borello standard is used to assess factors for determining the status of an employee, such as if the work performed falls in line with the regular business of the employer. 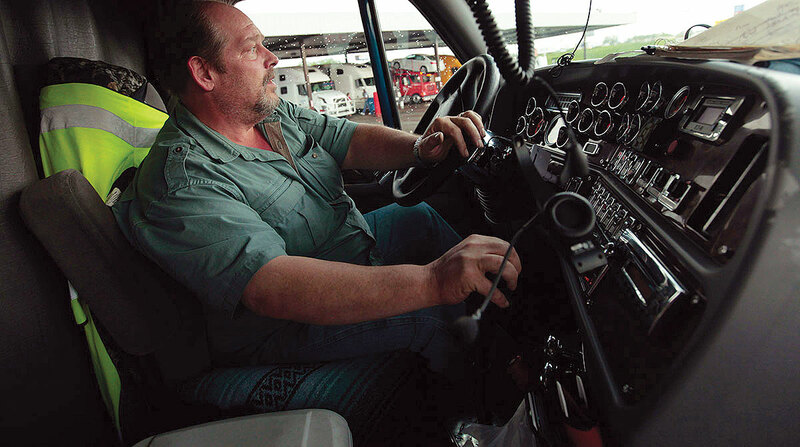 Truck drivers have been disputing their classification before the state Department of Industrial Relations. The Federal Aviation Administration Authorization Act of 1994, or F4A, pre-empts certain state regulation of intrastate motor carriage. American Trucking Associations is a proponent of ensuring a singular set of rules and guidelines for commercial interstate operations. Earlier this year, Labor Commissioner Julie Su and state Attorney General Xavier Becerra filed a lawsuit in the Ninth Circuit court against the Federal Motor Carrier Safety Administration. The agency had determined that federal rest-break laws pre-empt the state’s meal-and-rest-break requirements.